How many different ways are there to put together a smartphone? Manufacturers pick and choose components from myriad sources to bring us tricked-out flagships with bleeding-edge specs, ruggedized handsets able to withstand a little abuse, and even incredibly affordable budget phones that can be purchased, clear and unlocked, for little more than the cost of a nice dinner out. While the sort of phones we get at the very top and bottom of the pricing spectrum tend to fall into a few common patterns, things are much more interesting – or at least much more varied – when we focus on the mid-priced space. Some of those phones will try to deliver flagship-quality performance at a discount, while others may concentrate more on design or one or two stand-out features. With its new Nova series, Huawei looks to bring style and refinement to mid-rangers, crafting a pair of handsets designed to evoke the same sort of jealous looks owners of lesser devices feel when gazing upon Apple or Samsung's latest hero phones. Does Huawei hit the mark with stylish, capable, and maybe most importantly – affordable – smartphones in the Nova and Nova Plus? That's a lot to get right, so let's waste no more time in seeing just how well the company pulled things off. Sometimes siblings look so much alike that they could be mistaken for twins. Other times they seem more like total strangers. 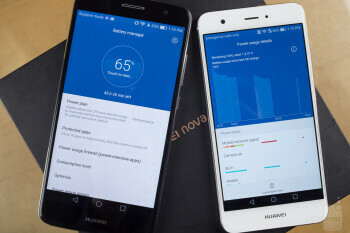 The Huawei Nova and Nova Plus fall somewhere between those two, each sporting its own very distinct design, while sharing enough in common that we'll plausibly buy the explanation that they really are blood relatives. With metal bodies, curved-side “2.5D” glass, and beveled edges, the Huawei Nova and Nova Plus sure share a number of construction elements. While the curves of the two models differ slightly – a decision that may be taking size into factor – they both feel really nice in the hand, with smooth yet grip-friendly corners and the sort of pleasingly solid heft you only really get from metal. 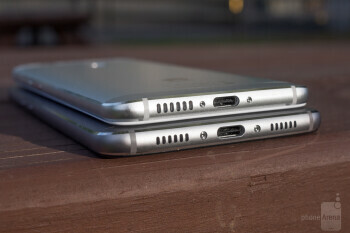 Other little elements carry over between the two, like similar bottom-edge speaker grille designs, matching USB Type-C ports, and the same button layout. But while those hardware controls may show up in the same place, differences can't help but make the two already begin to stand apart: the power button on the Nova, for instance, has a smooth finish and a barely perceptible anodized red border, while the button on the Nova Plus is silver all the way around, though it picks up radial etching on top. So far the two phones have been largely on the same path, but as we start looking at the rear panel assembly, things really start diverging. 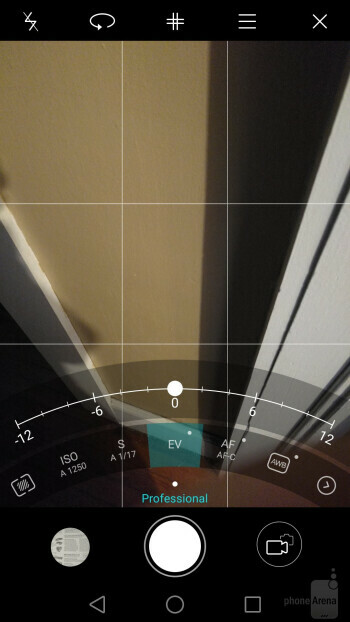 The Nova tucks its camera up in one of the phone's top corners, not unlike iPhone placement. And while that's unobjectionable enough, the camera and LED flash both live within a prominent plastic stripe stretching across the phone's otherwise metal back panel – and while plastic and metal can work together just fine, they don't look great in the Nova's case, taking away a bit from the otherwise premium aesthetic. 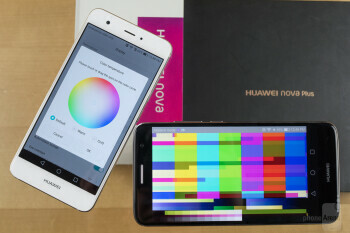 The Nova Plus dodges that bullet of a big, obviously plastic stripe, and while Huawei does appear to be mixing up the materials it uses at the top and bottom of the handset's rear panel, at least the colors and textures all match. 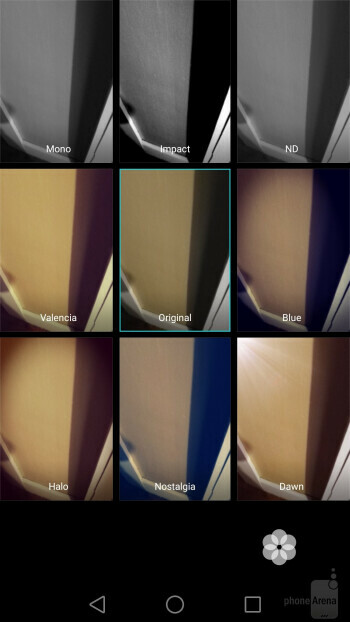 Unfortunately, the camera on the Nova Plus isn't much of a looker, and juts out from the case with a big squircle lens. It's not that it sticks out very far, nor is it the first _phone_ to be put together in such a manner. It's just that it looks nothing like the Nova, and comparing the two side-by-side, the Nova's camera has a much more pleasing design. 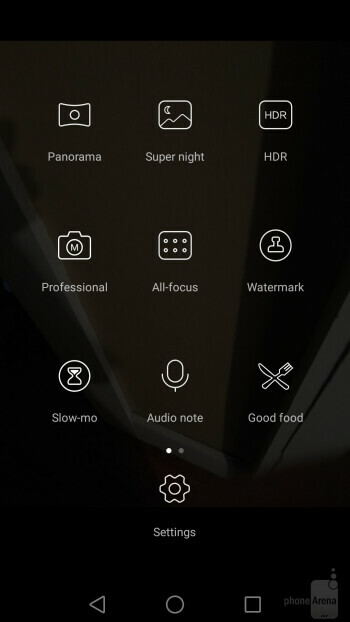 Finally both phones get rear-mounted fingerprint scanners, and they use this as one more opportunity to demonstrate their independence: the Nova gets a circular scanner, while the Nova Plus goes with a squared-off scanner. If these handsets were branded slightly differently, the lack of a common design might be a little less important. 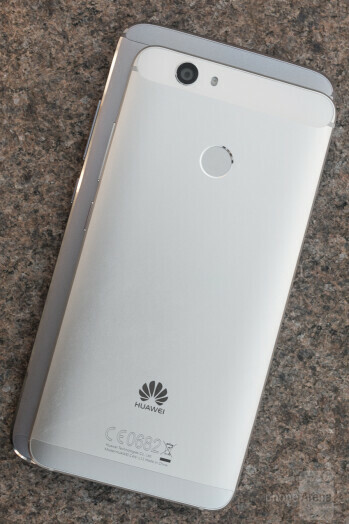 Instead, Huawei leaves us without a clear vision of exactly what a “Nova” _phone_ is supposed to look like. We wouldn't expect mid-range devices to push many limits, and that's certainly not the case with the screens on the Huawei Nova and Nova Plus, both offering 1080 x 1920 LCD panels. The former gets a compact 5.0-inch screen, while the latter pushes things up to 5.5 inches. 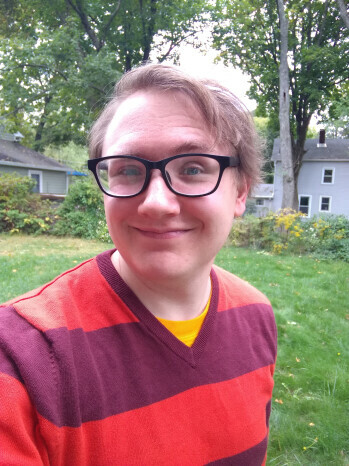 Initially, they both look fine, displaying crisp lines, bold colors, and feeling plenty readable. At least, that's the case indoors, but visibility can take a hit outside in the sun, with the two screens only offering middle-of-the-road brightness. And while colorful, saturated imagery really pops on the Novas' screens, the displays aren't extremely accurate in their color reproduction, with a gamut that's all over the place (while leaning towards cooler hues). Huawei thankfully includes a color-temperature-control in its display settings, but it's frustrating that those adjustments aren't starting from a neutral point. 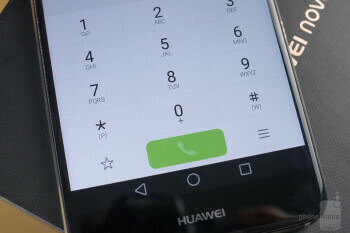 The Nova Plus dodges that bullet of a big, obviously plastic stripe, and while Huawei does appear to be mixing up the materials it uses at the top and bottom of the handset's rear panel, at least the colors and textures all match. 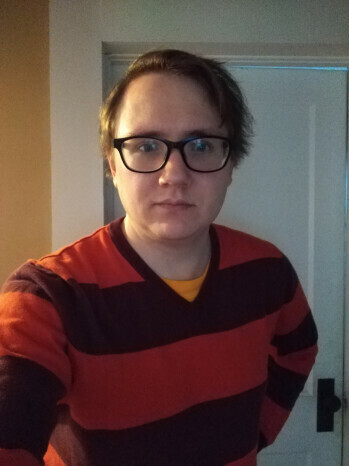 Unfortunately, the camera on the Nova Plus isn't much of a looker, and juts out from the case with a big squircle lens. It's not that it sticks out very far, nor is it the first phone to be put together in such a manner. It's just that it looks nothing like the Nova, and comparing the two side-by-side, the Nova's camera has a much more pleasing design. If these handsets were branded slightly differently, the lack of a common design might be a little less important. Instead, Huawei leaves us without a clear vision of exactly what a “Nova” phone is supposed to look like. Using EMUI 4.1 on the Huawei Nova and Nova Plus is a lot like running into someone at a costume party. You recognize, them, sure, but all these little details have changed (Dan doesn't normally have vampire fangs, right?). That's pretty much the experience you get from Huawei's Android skin. It's Android 6.0 underneath, with all the functionality that entails, but a lot of effort's gone into creating a new facade for that framework. Once you get used to things being in slightly different locations than you'd expect, or appearing a little unfamiliar, there's a lot to like in EMUI. The design is quite clean, with many fine lines and basic shapes, and that helps keep it feeling lightweight despite the breadth of changes present. It still comes across like it's trying a little too hard to recreate the feel of iOS on an Android device, but none of this detracts from usability in a major way. While the Nova and Nova Plus may each have distinct looks, they're both powered by the same silicon. That means pairing a Qualcomm Snapdragon 625 with 3GB of RAM. It's a combination we've seen before on other mid-priced phones like the Moto Z Play Droid, and it again works pretty well here, combining decent performance with relatively meager (and all sorts of battery-friendly) power requirements. 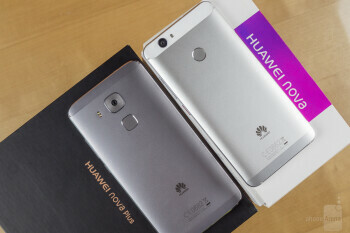 Neither phone is poised to compete against handsets running flashier chips (and even same-tier upgrades like Qualcomm's Snapdragon 652 would represent a big performance boost), but considering the market segment Huawei appears to be going after, it ends up with a nice sense of balance from this hardware. 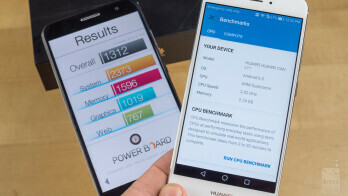 We'll get to the impact on battery life shortly, but so long as you aren't trying to run too many high-end 3D games on a Nova phone, this processor's adequately equipped to keep up with many software demands. Storage is available as a sole 32GB option, which seems OK for mid-priced devices like these; at least it's not 16GB, and the option for microSD expansion keeps the door open for users who'd prefer more. With a focus on global markets, it's no surprise we don't see any particularly US-targeted band support with the Nova and Nova Plus – nothing like CDMA support for Sprint and Verizon here. Instead, the phones are nicely equipped with a spread of international-friendly bands. 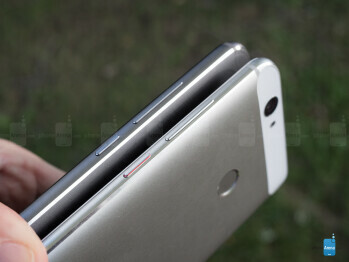 One plus, depending on your usage habits, is that the phones support dual-SIM operation where available. 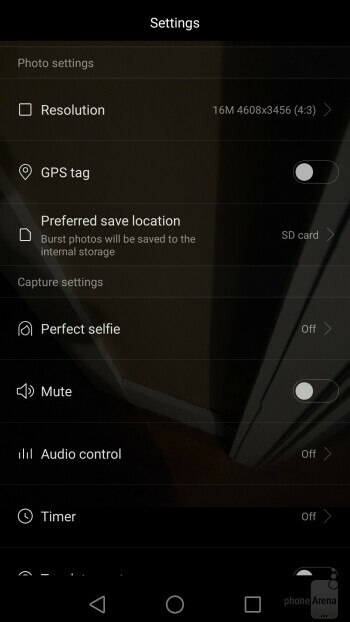 Of course, since Huawei's using a hybrid SIM/microSD tray, taking advantage of that secondary nano-SIM slot means giving up your access to expandable storage, a trade-off we wish phone manufacturers would stop forcing us to make. 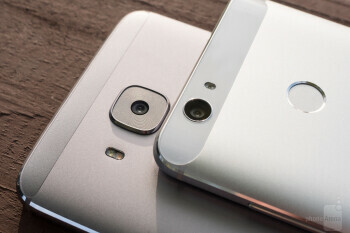 In its promotion for the Nova phones, Huawei shines the spotlight on camera performance. While the two share a lot of hardware, each has its own main camera: the Nova with a 12MP sensor, while the Nova Plus picks up a 16MP component that also adds optical stabilization. Let's get the good news out of the way: neither camera really lets us down. Both phones take some quite nice-looking pics, and manage to acquire focus quickly. In general, images shot with the Nova tended to appear a little higher-contrast than what the Nova Plus put out, but the higher resolution of the Plus resulted in clearly sharper pics once we started zooming in. Both phones support a number of software enhancements, including a “beauty” mode that softens the appearance of skin and a “makeup” mode for selfies that allows you to apply lipstick and fake eyelashes. Neither gets in the way, thankfully, and while it can be fun to play around and see what they can do, we're just happy that the cameras work as well as they do even without any software extras. 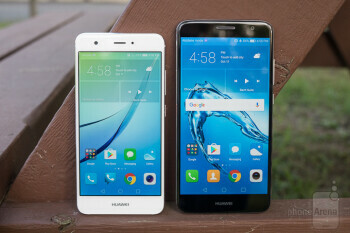 Either of these phones are well equipped for video recording, shooting in resolutions as high as 4K. The cameras both adjust quickly to varying lighting conditions, and are also speedy to change focus in the middle of a shot – not something we can say for all cameras. Huawei also does a really good job at removing background noise from videos, though we had a few issues with audio quality. Perhaps due to that noise-canceling system, voices can sound a little “wishy” at times, like an MP3 with the compression dialed-up too high. And while audio was generally nice and clear, we couldn't help but notice it peaking occasionally. Neither of the two Novas is particularly a multimedia powerhouse, though both still manage to do alright. The phones each offer a single bottom-edge speaker – don't be fooled by the dual grilles on the Plus, as only one's functional. Output on both Novas is fine, though the phone's aren't quite tonally matched; we found the Nova's audio heavier on the treble than the sound coming from the Plus. That can make the Plus sound a little softer and muted in comparison, though it's arguably the better-balanced of the two. Probably the most overlooked category when it comes to how many smartphone shoppers are making their purchasing decisions, the Nova and Nova Plus both manage to sound – well, fine. The smaller Nova gets points for being a bit more comfortable to use as a voice handset, just by nature of its size, but neither phone is a big let-down here. 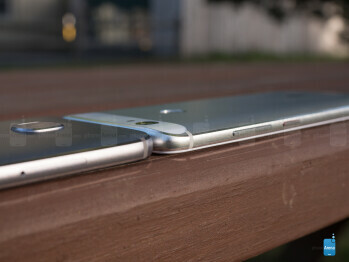 The Nova and Nova Plus are quite slim phones, measuring in at 7.1 and 7.3mm, respectively. Despite this, they both find room for some good-sized batteries, with the Nova ending up with a 3,020mAh power plant, and the the Nova Plus with a 3,340mAh component. Combine that with processors that barely sip from the well of available power, and screens that don't push resolution limits, and you've got the formula for some smartphones with all-day battery life. Indeed, our custom tests supported just that finding, as the Nova clocked over 10 hours of screen-on time, and the Nova Plus came in north of 12. Depending on just how hard you push your phone, it's not crazy to expect that you might need to charge it just every other day. Even without quick-chargers in the boxes, the two Nova phones both recharged in a reasonable amount of time, each taking around two hours. 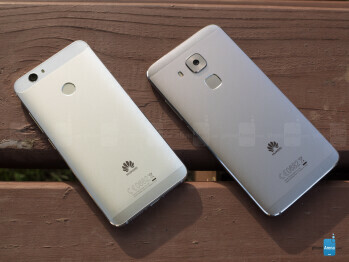 Huawei put together two very solid phones with the Nova and Nova Plus. They don't do any one thing really well, but instead combine respectable performance (so long as you aren't too into gaming), alright camera quality, and decent design into two relatively affordable packages. And that they do all that while also offering some day-long battery life is just the icing on the cake. But while they're largely well-done phones, it takes more than just doing alright to succeed in this crowded smartphone market, and here the Nova and Nova Plus start running into a little trouble. Take that design: decent, sure, but on both phones it ends up falling somewhat short of the extra-premium metal look Huawei seems to have been going for. Or the cameras: they get the job done, and even include a few extras, but neither is quite a best-in-class component. That puts a lot of pressure on pricing to make the Novas into attractive handsets, and once again, the figures just aren't quite where they need to be. International pricing comes in at just under 400 EUR for the Nova, and 420 EUR for the Nova Plus. We're happy to see how close those two are, and with the Nova Plus going for barely any premium over the smaller Nova, it makes it easy to pick the phone the looks and feels best to you – with price being just a minor consideration. Well, that's comparing the two against each other, at least, because things are a lot more complicated when we look at the larger market, with better-equipped competition available for about the same price – or just slightly more. None of this is to say that Huawei's hardware isn't worth the asking price, but the question would be a lot easier to answer if we were looking at figures some 50 to 100 EUR less.